Fall is not only for planting, but signals the important task of taking a soil test for the lawn and garden. Soil in Northeast Ohio tends to favor an acidic range due to the proximity of the Appalachian foot hills. For most plants, a PH range of neutral (7) to slightly acidic frees up the essential elements required for good plant growth. Conversely, an acidic pH (4.5–6.0) is ideal for the ericaceous group such as Rhododendron, Azaleas, Blueberries, and Mountain Laurel as necessary iron becomes more available with the lower pH. The pH measurement is nothing but the measure of the concentration of hydrogen ions in the soil. The ideal pH for lawns and a vegetable garden is 6.5 to 6.8 and is not static as the soil’s acidity or alkalinity can change overtime. Additions of lime will correct acidity problems but can only be applied accurately by means of university soil test. This accurate test not only will give a measure of the PH, but also an indication of the soil’s buffer capacity or resistance to change. 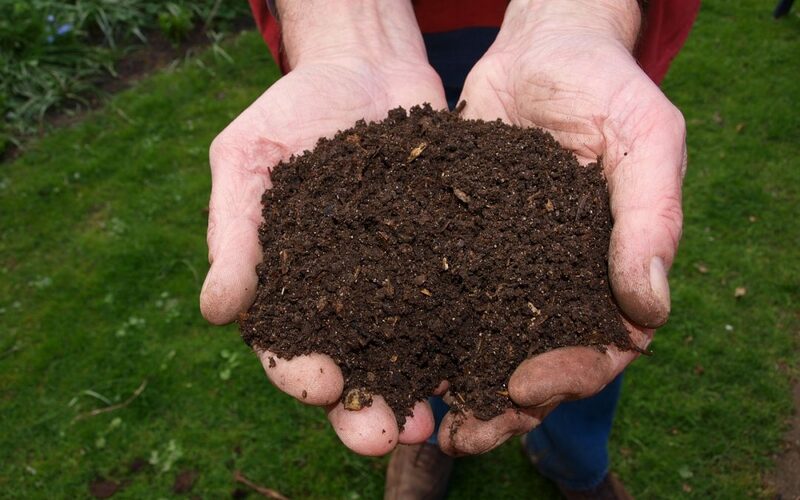 Soils that are high in organic matter tend to be of good tilth which is favorable for plant root growth and beneficial microorganisms and also tend to result in a high buffer capacity. Soils of the same pH then may require a substantial difference of the amount of lime applied due to the variant buffer capacity of each of the different soils testing at an identical pH. Another measure of a standard university soil test is the measurement of the amount of phosphorus (P2O5) and potassium (K2O) in the soil and with recommendations of how to correct any deficiencies. CEC, or, the cat ion exchange capacity, is another element of a standard test and indicates the soil’s electrical charge which is its ability to hold nutrients such as nitrogen which can readily leach out of a soil low in organic matter and thus a low CEC reading. Farmers will normally apply lime on their fields in the fall after crop harvests and when the ground is relatively dry to avoid soil compaction. A typical farm application was practiced by Walter Seiberling of Norton as every other year in fall he would apply up to three tons of lime per acre depending on the results of the soil test. Fall is perfect for lime application as winter snow and rain help to leach topical applications of lime into the soil and complete the slow chemical change of neutralizing excess hydrogen ions. To take a soil test, take a least 10 different samples from a lawn about 3” deep and mix the samples in a clean bucket to get an average reading. For a garden the same applies as above only that the samples should be 6” deep. Then, pack the soil sample (about ½ cup) in the kit bag, fill out the form and then mail it to the university. For lawns, pelletized lime in bags is best to apply with a spreader. For gardens, pulverized lime is ideal as it is longer lasting. Although, it is more difficult to spread by hand. University soil test kits are available in most garden centers such as Dayton’s. Our test kits come from Penn State for a cost of $14.99. Soil maintenance as far as PH is concerned is inexpensive and the results, as far as improved plant growth, can be profound.